Send flowers online in Bulandshahr to your loved ones and show your warmth of love and affection. At Winni, we source unique stems freshly daily. In order to bring you the fresh flowers which can stay with you for longer. We offer a wide-range variety of flowers for different occasion and can complement your sentiments wrapped with extra love and care. We ensure quality and 100% timely delivery of your flowers on your preferred location. We provide fresh flower delivery service in Bulandshahr city with our quick and reliable flower delivery service. All of our fresh flower bouquets and other arrangements comprise of only the freshest of flowers. In order to ensure the best quality, we work directly with florists, selecting only the high quality, long lasting blooms. Each flower bouquet is arranged and hand-tied by our expert team. In each flower arrangement, we pour extra love and creativity; we guarantee that you or your recipient will surely feel ecstatic on receiving its delivery. At Winni, we are committed to giving our customers the best quality bouquets, and we really stick to that. Our expertise in online flower delivery has made us one of the best flower delivering portals online. 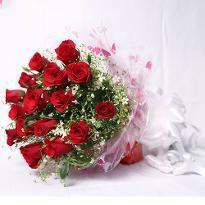 Send your heartfelt feelings and you’re your loved one feel special by sending them quality flowers online. Just order flowers online in Bulandshahr at Winni and sit back. We will deliver them your loved ones’ right at their doorstep in Bulandshahr. 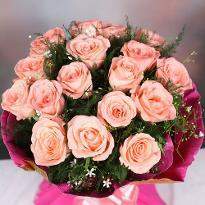 Send dazzling flowers to your special ones and let them know that they are in your heart and thoughts. Sending a bouquet of flowers is a lovely way to show love and respect, and Winni offers a wide range of floral gifts that are appropriate for every occasion. Flowers have traditionally been used as a mark of love and affection. Be it any occasion; flowers are always seen as a gift of pure love and convey your emotions. Sending flowers via our personalized flower delivering service will get personal attention to the events or occasion you cannot attend personally. We will you’re your flower arrangements that convey will your love and emotions in the manner you wish. Winni offers a wide selection of beautiful and aromatic flowers which are all displayed on our website and there is hardly any flowers variety left that we don’t offer. Scan through our website to find the exact bouquet or arrangement to match your sentiments, and place an order with us. Now multiply your joy and happiness with your loved ones by sending them beautiful and fragrant flowers online in Bulandshahr. Choose from our wide collection of fresh flowers online displayed on our website and we will deliver it your loved ones right at their doorstep. We will send and deliver fresh and beautiful flowers online in Bulandshahr at your preferred location. Why wait for more? Place an order now!